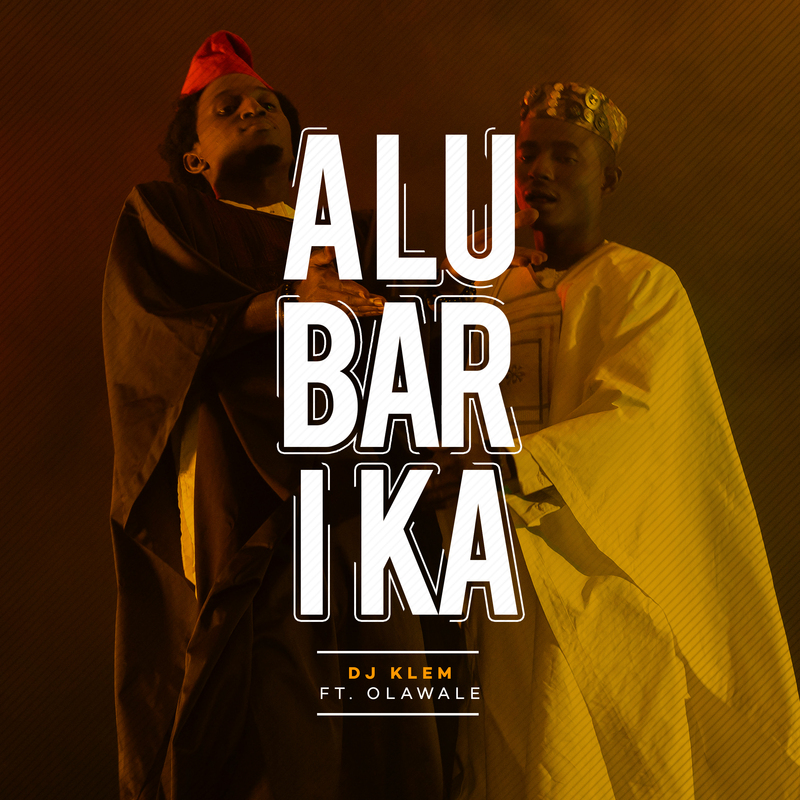 Dj Klem Studios is thrilled to announce the release of the latest single from DJ KLEM featuring Olawale(2013 MTN Project fame winner), ALUBARIKA which is now available on all music digital platforms. ALUBARIKA (which means “Blessings”) is a song that resonates the hopes of people around the world. It tells a story of how everyone steps out of their home each day and hopes for blessings. A feel good mid-tempo fusion of Afrobeats, EDM and highlife, ALUBARIKA is set to make you dance, pray and boost your hopes for a better life. This song couldn’t have come at a better time! Klem has also produced for several artists including Ice Prince, Vector, Yemi Alade etc. It would also be recalled that Dj Klem produced Wizkids highly rated ‘Gidi Girl’ and co-produced the hit single ‘Holla at your boi’ off Wizkids debut album. Dj Klem was also involved in producing Mo’Cheddah’s award winning album back in 2010. The review generated by a preview sent to a few music lovers and industry heads alike has been awesome!